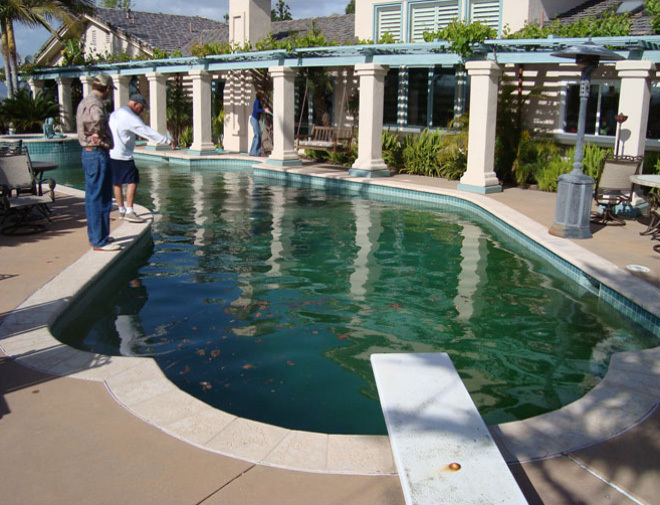 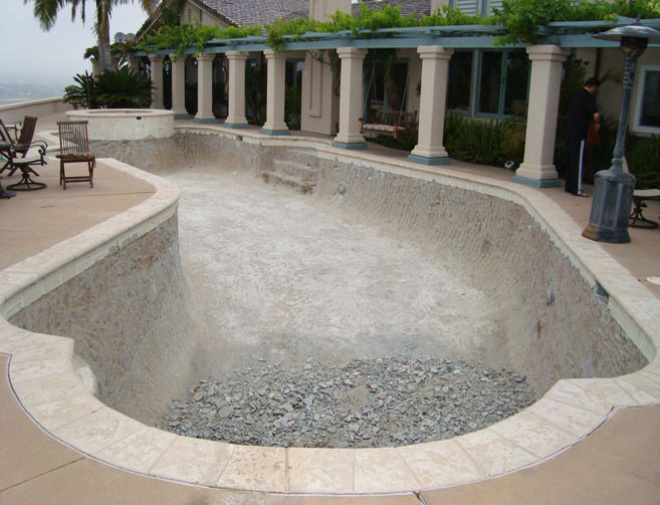 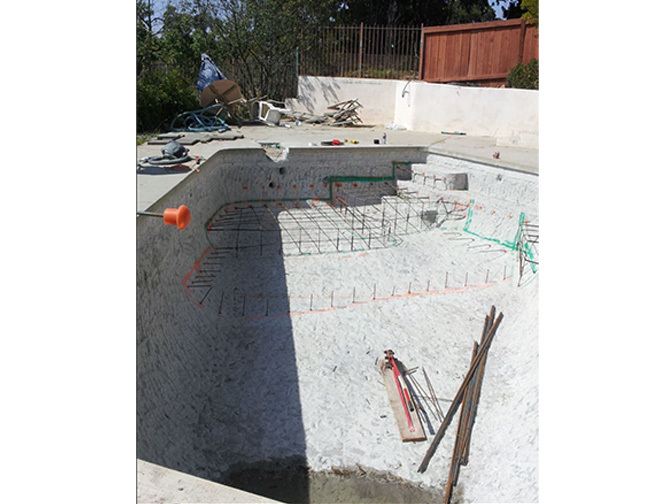 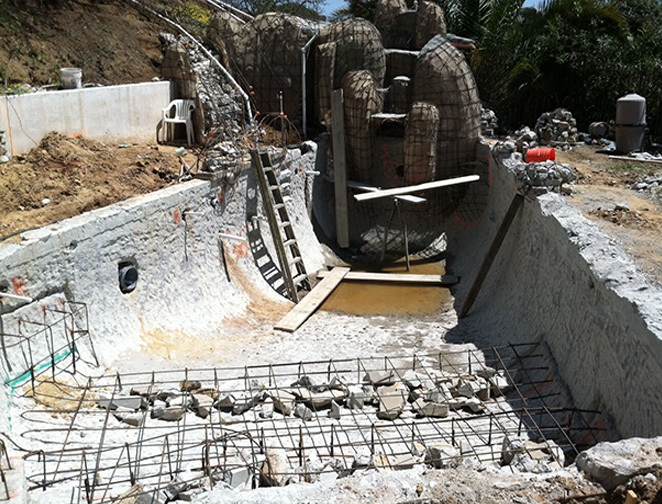 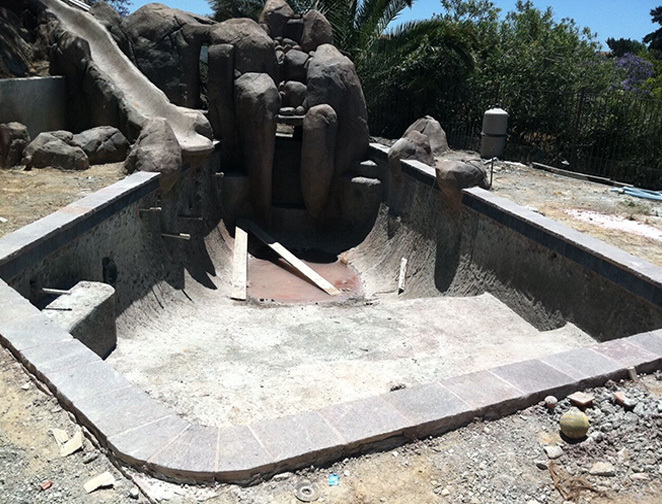 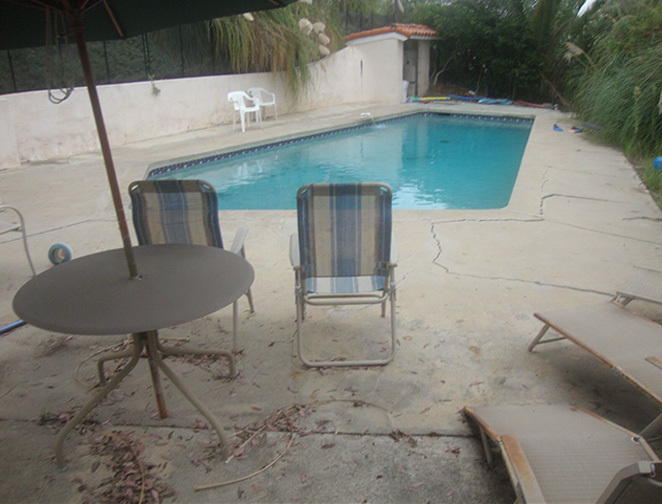 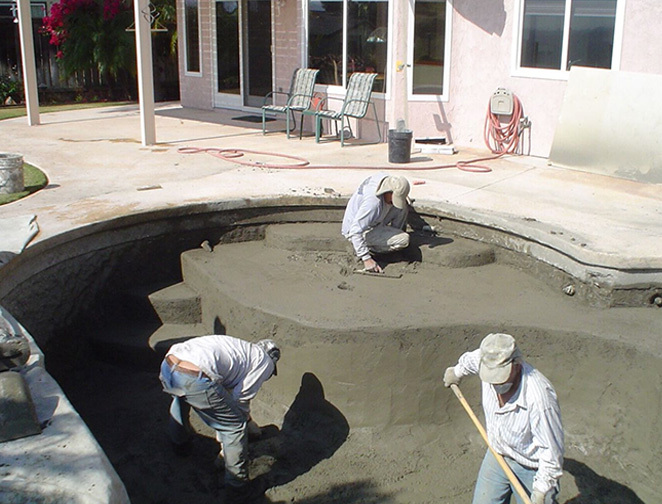 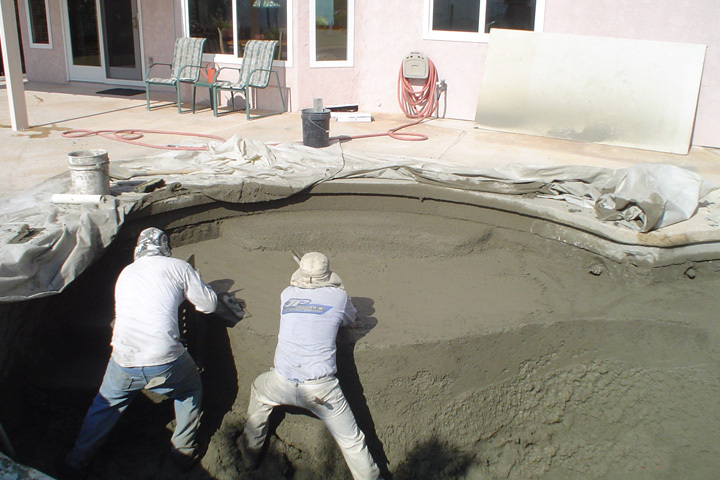 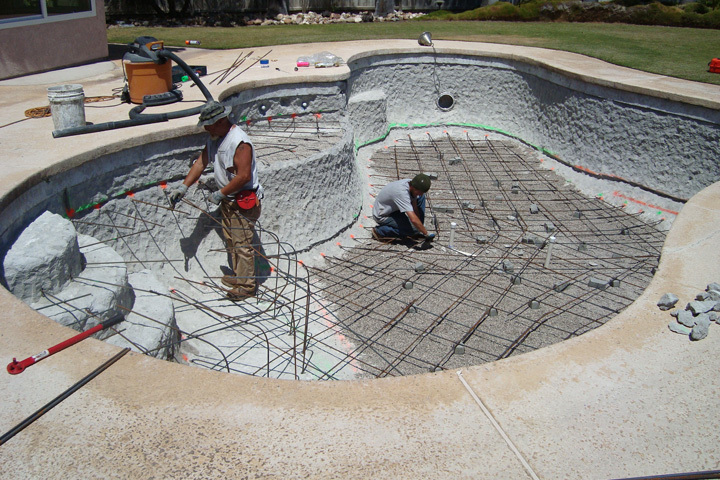 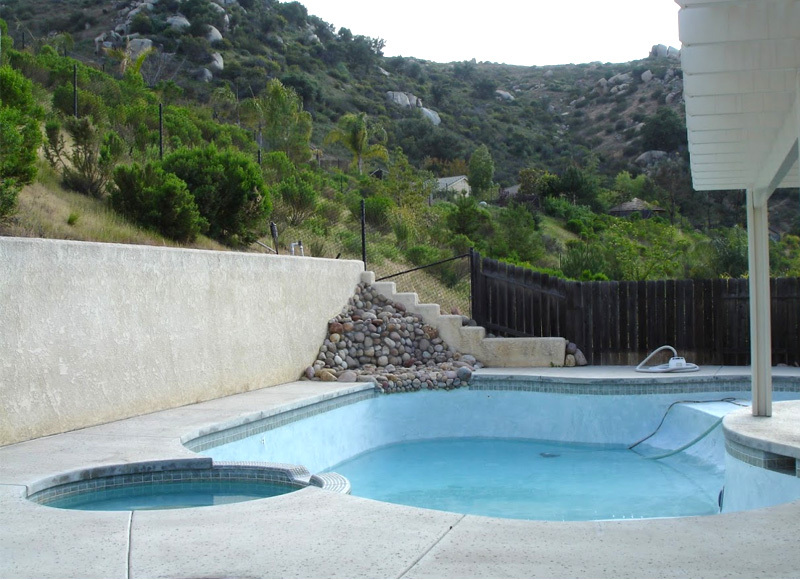 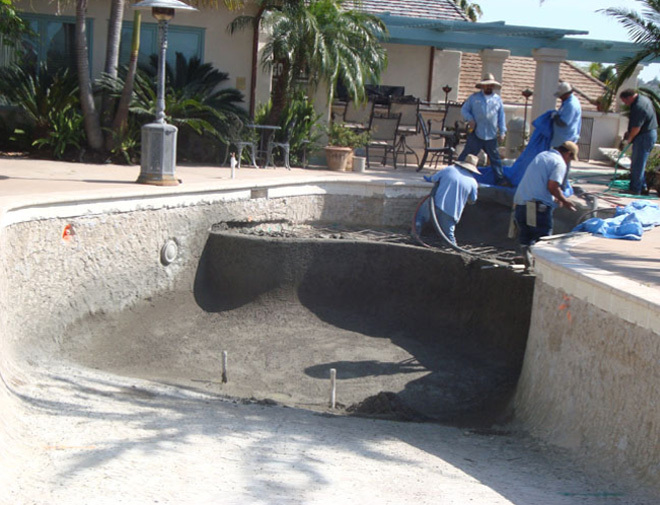 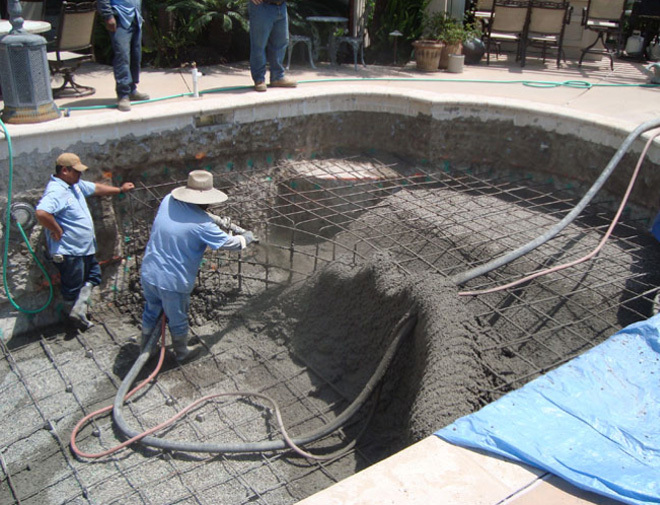 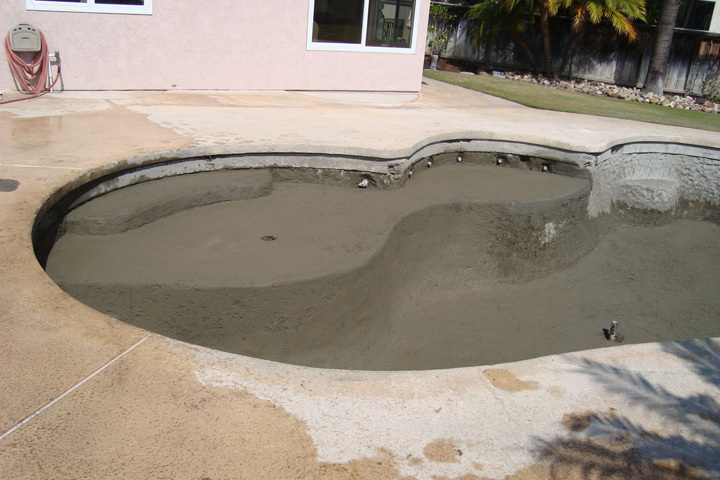 Follow the steps in the process of giving a fresh new look to this older pool and spa. 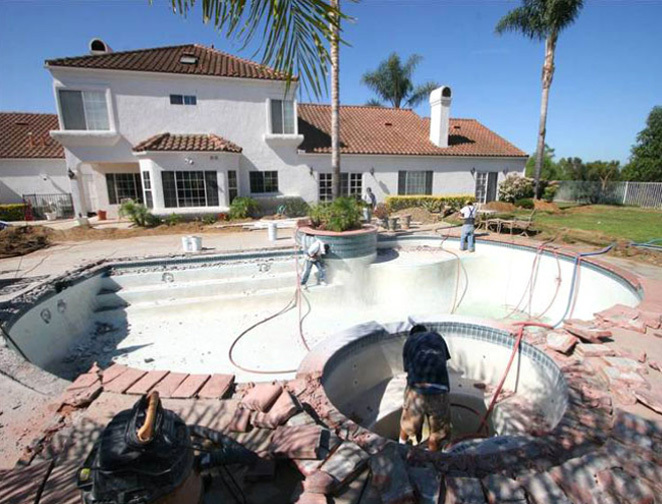 Removal of the old finish and tile work sets the stage for the renovation. 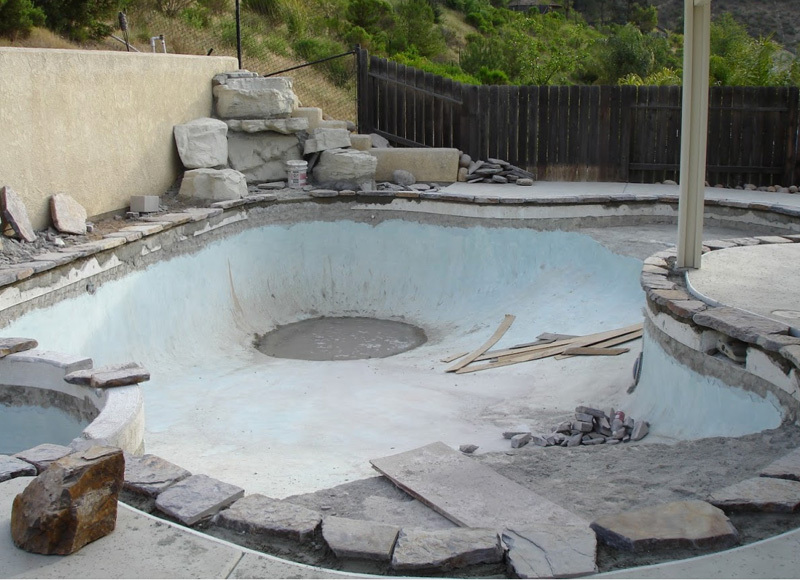 so we made it look new again. 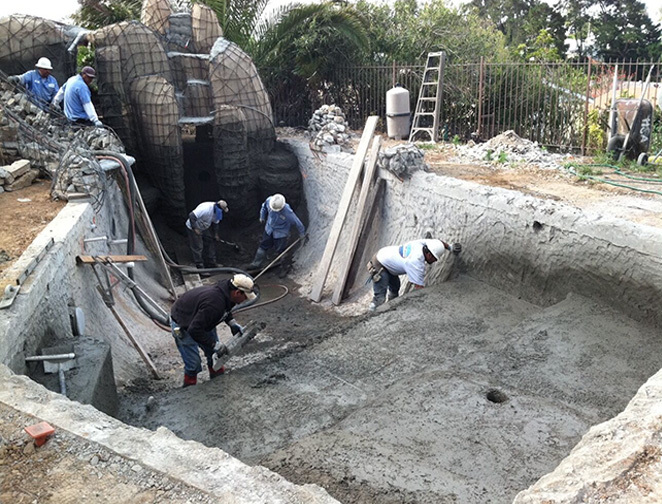 The first step in this process was to remove the old grout from between the bricks. 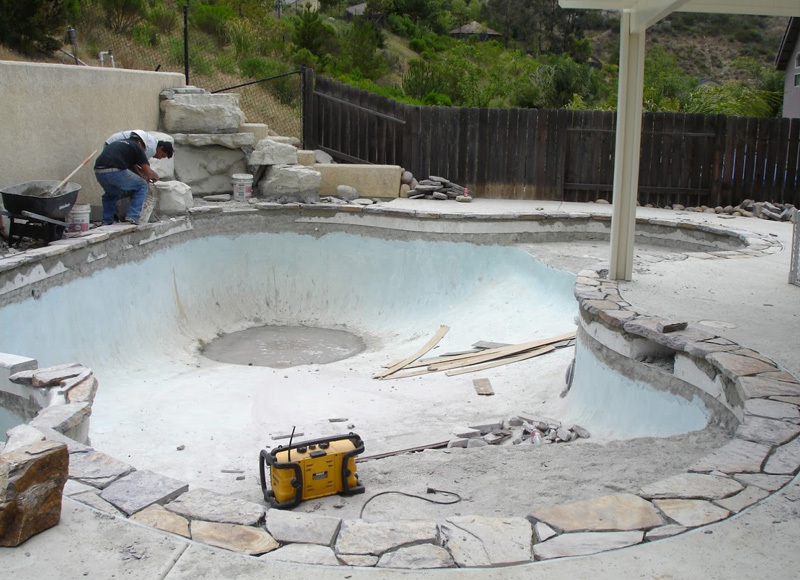 Fresh grouting is added for a clean finish to the coping. 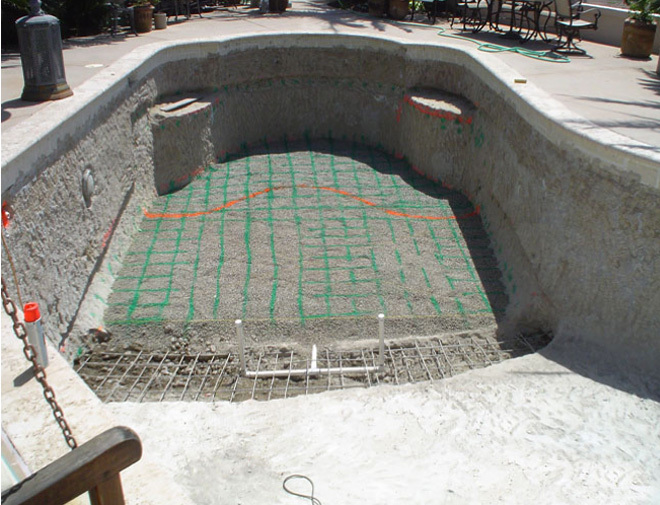 Preparing the surface for tiling is the next step for this project. 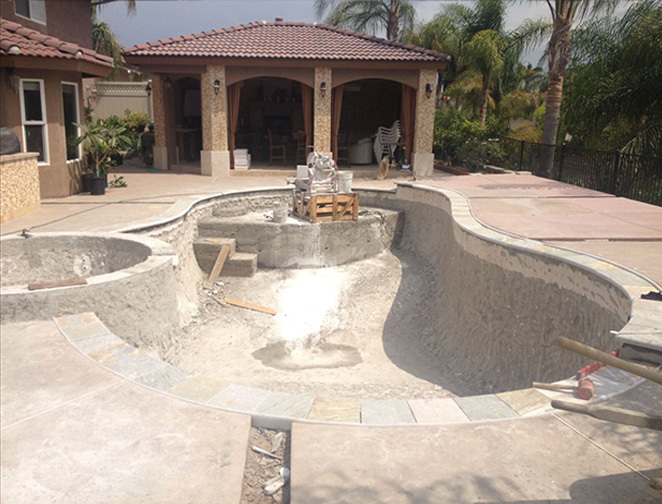 Next we set the new tile. 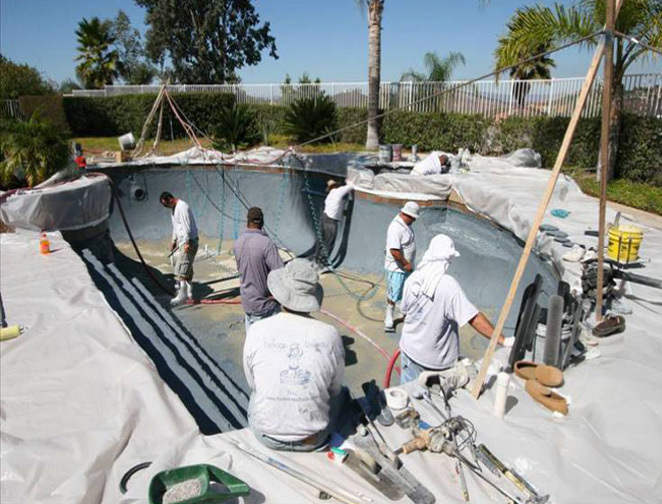 building a link between properly prepared substrates and new plaster coats. 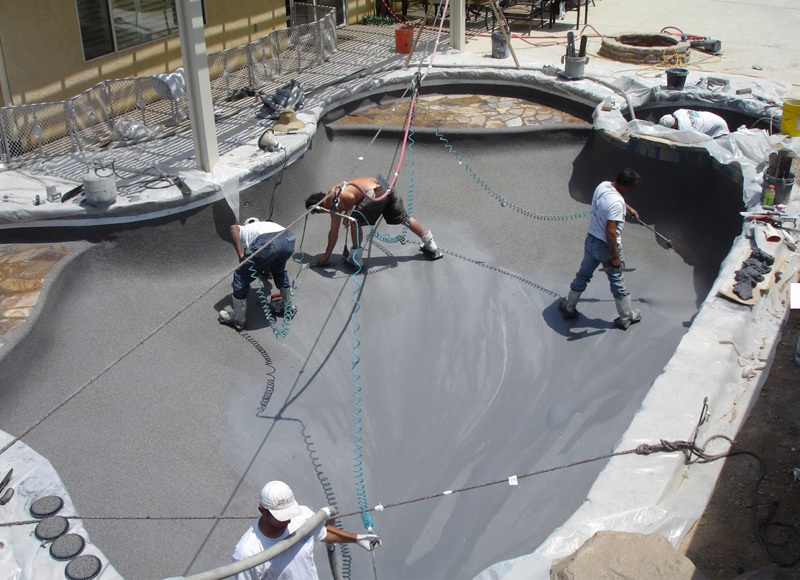 The finish is what gives your pool and spa the beautiful color reflections. 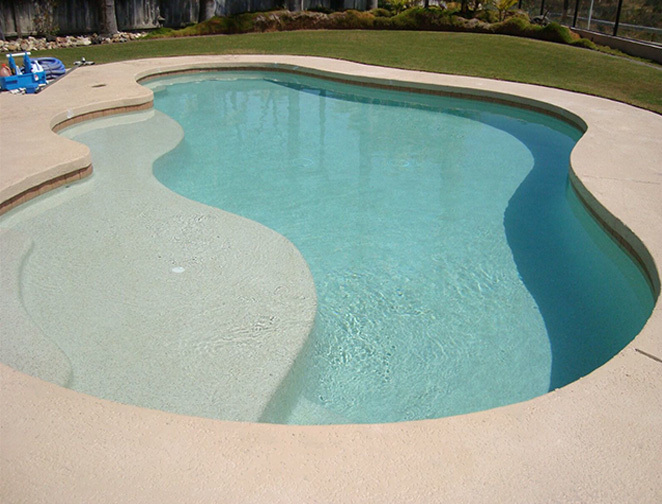 For picture of pools with different finishes, please visit out gallery. 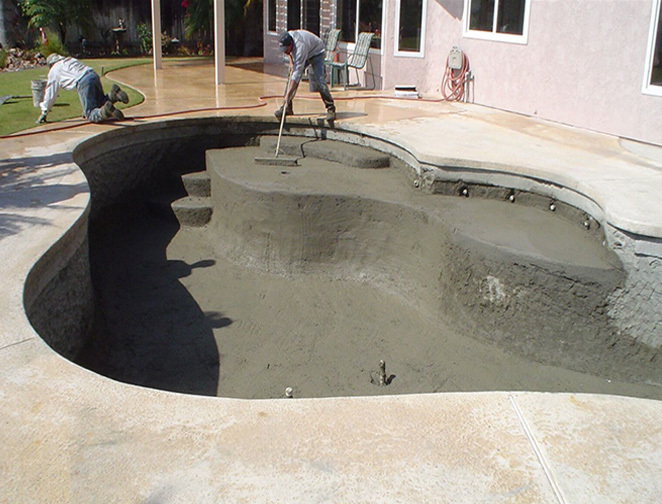 Just add water and enjoy! 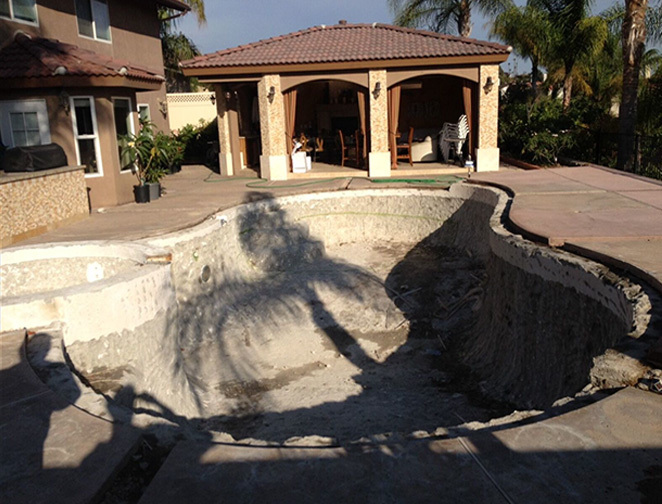 We are often asked about the process of a remodel. 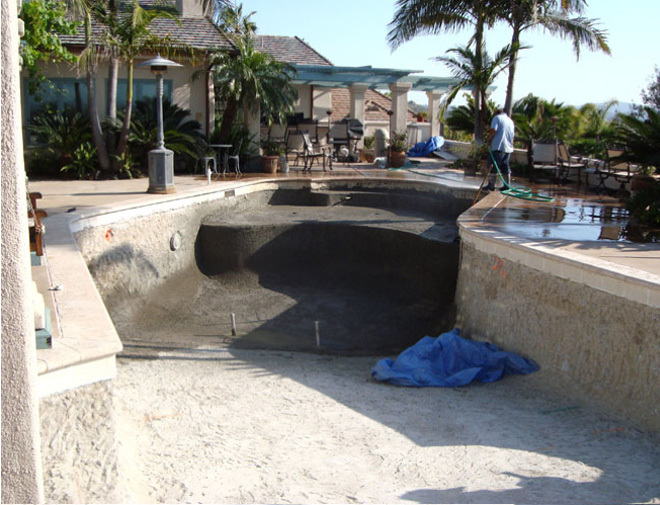 The examples below will give you an idea of the main steps that are involved. 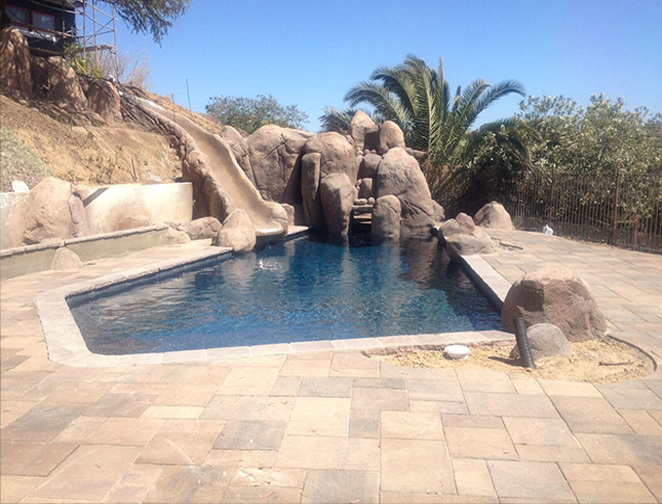 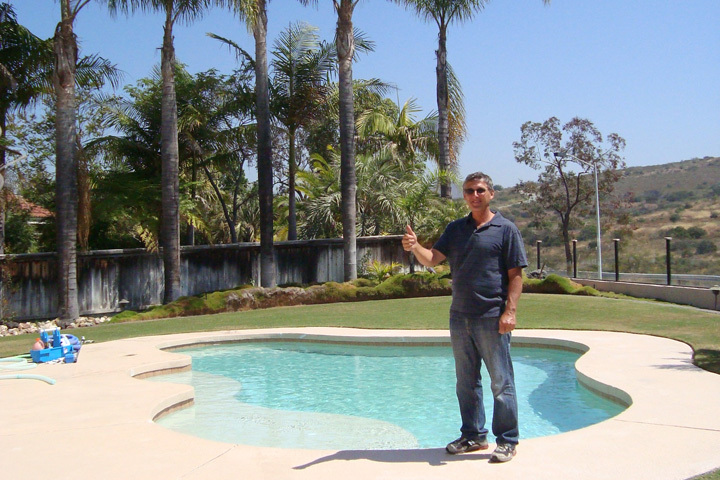 San Diego’s Poolscape Unlimited, Inc upgraded the pool and spa below, and updated them with the rich look of natural stone coping, coordinating tile and a soft waterfall spilling into the pool. 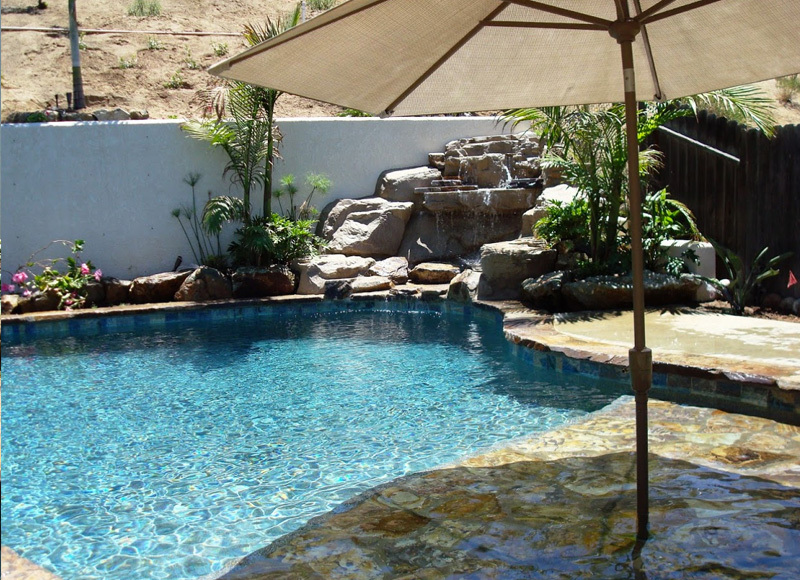 Tiger’s Eye Lagoon GEMSTONE™ adds a tropical blue water color reflection and the ultimate in a lasting finish for years to come. 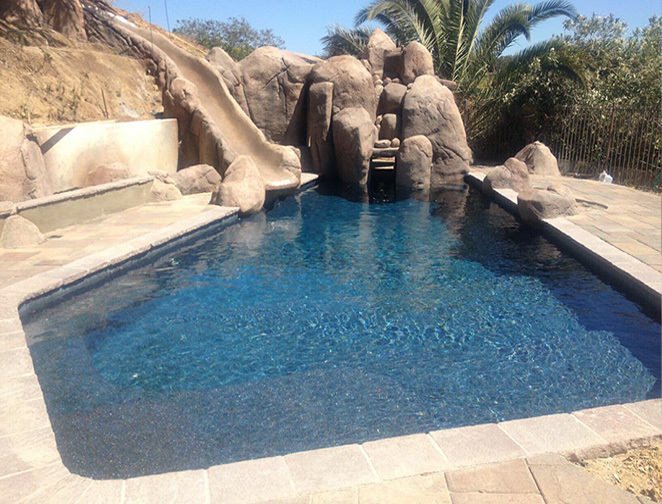 Our customers vision required a 60 ft slide starting on the upper terrace where their home sat. 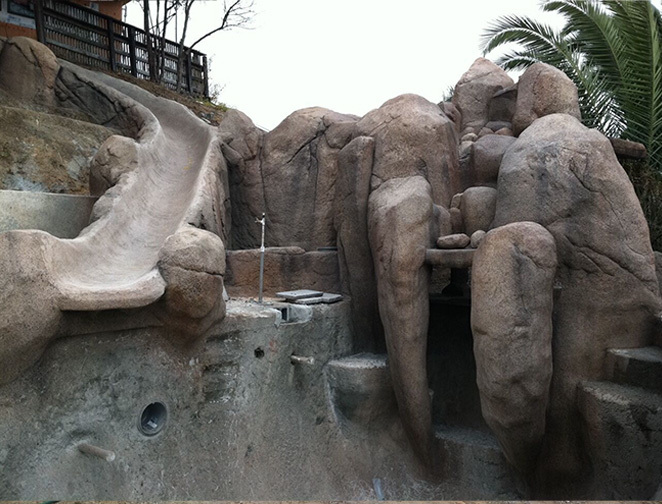 At the deep end a massive grotto/waterfall. 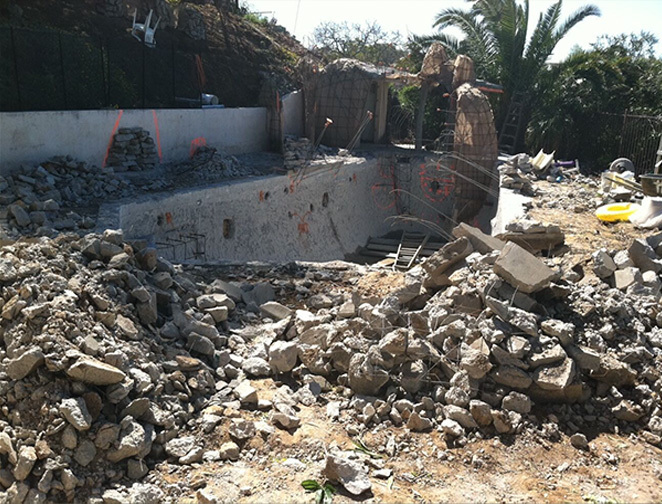 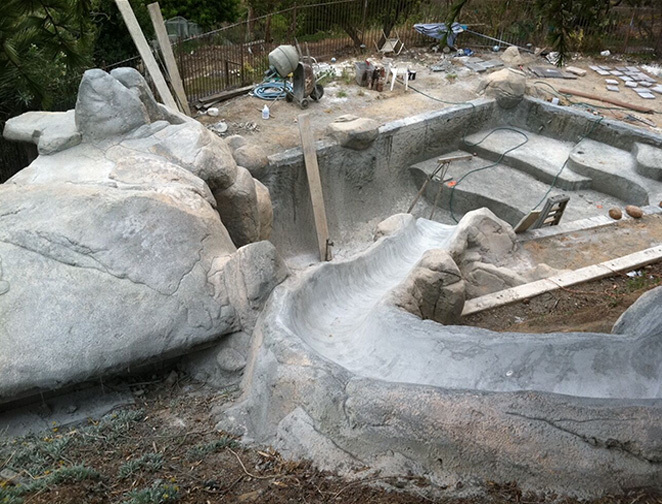 The Rock formation covered the old pool equipment shed. 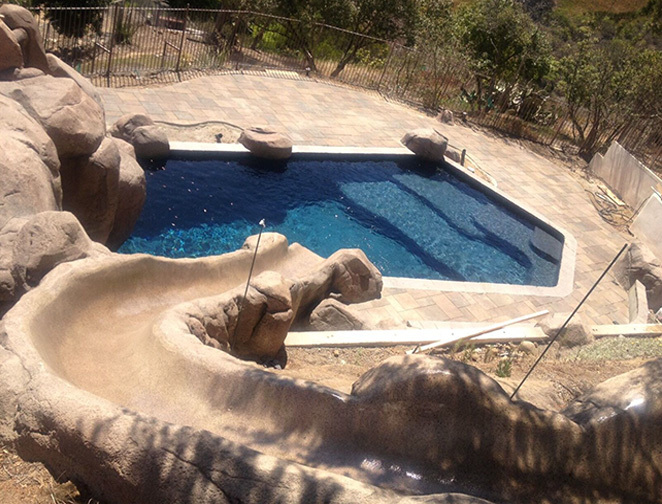 Total automation controls from the house operates the colored LED lights, waterfall and slide. 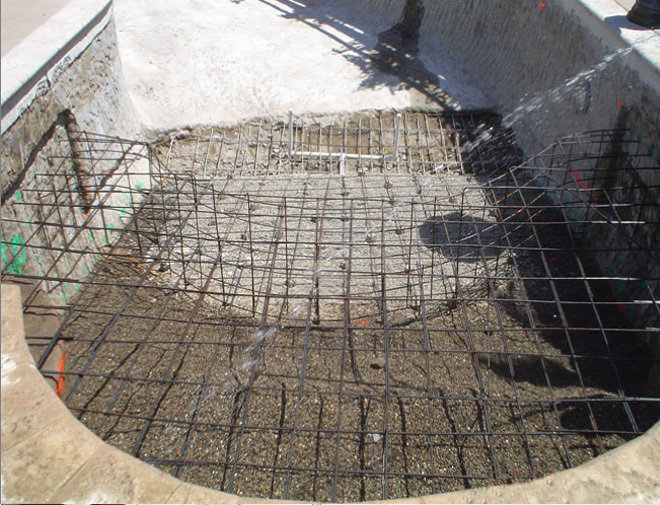 In the shallow end a multi-level terraced series of shelves provide different depths for any sized wader. 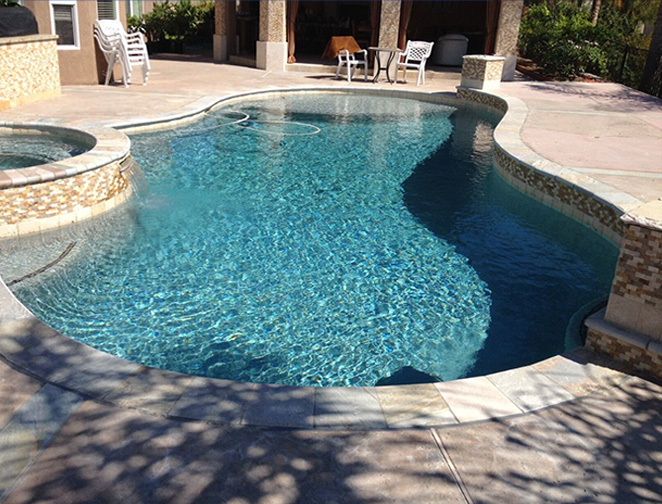 The rich color of water was achieved by our unsurpassed GEMSTONE™ Designer Sapphire interior. 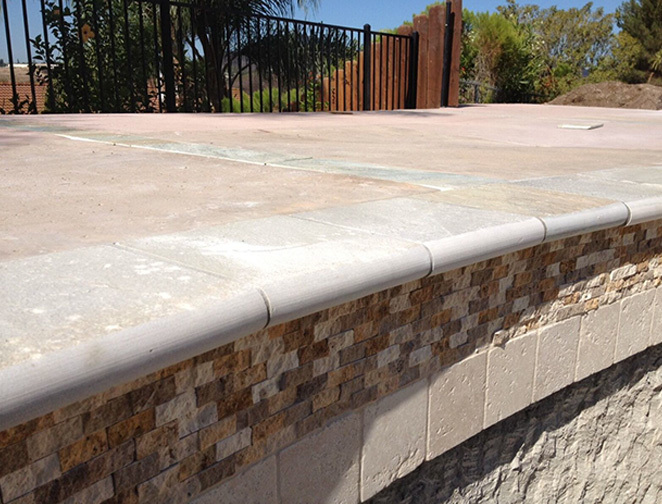 Interlocking pavers decking provides beauty that won’t crack or shift like traditional concrete. 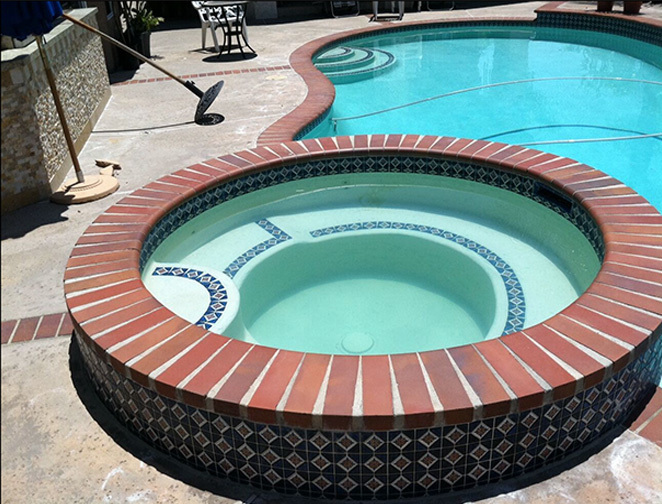 Red Brick and blue tile was replaced with the natural beauty of a Quartz Stone Bullnose coping. 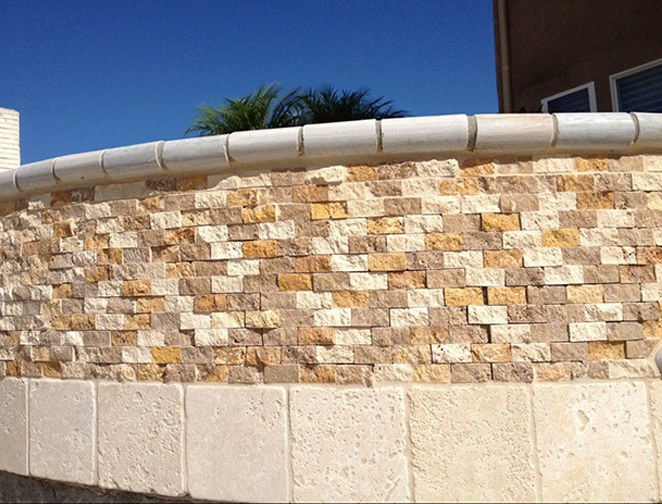 A real stacked stone tile and Silver Pearl Gemstone. 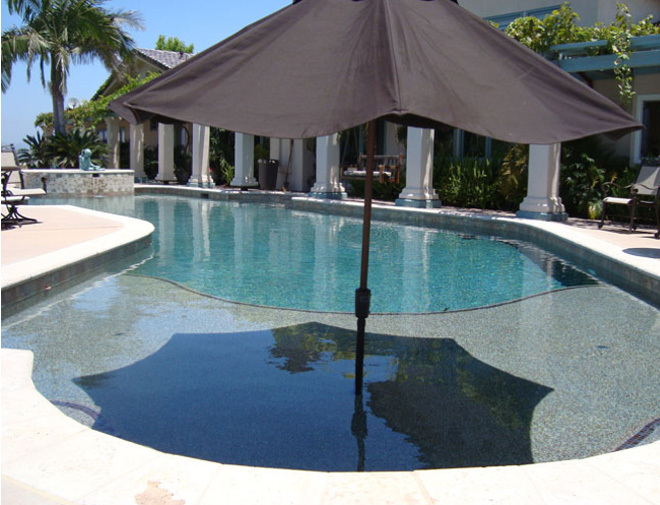 A Baja shelf with an umbrella sleeve provides a relaxing place. 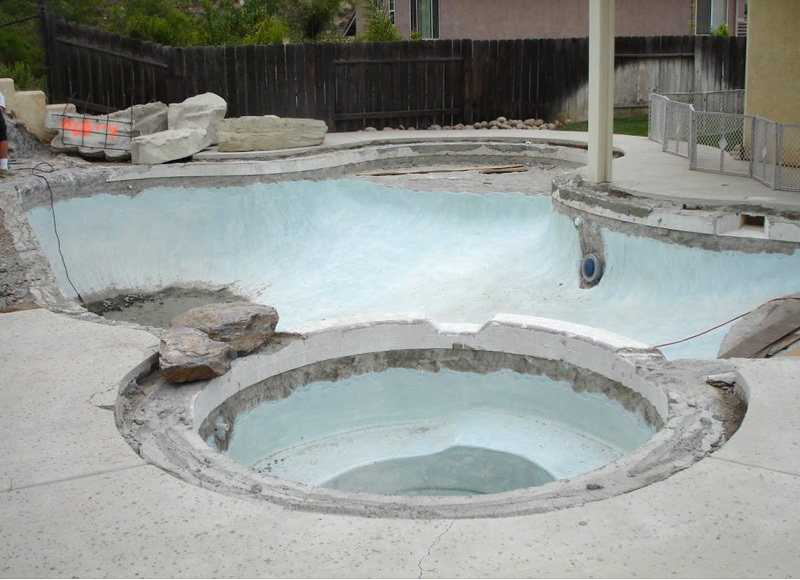 Too much pool. 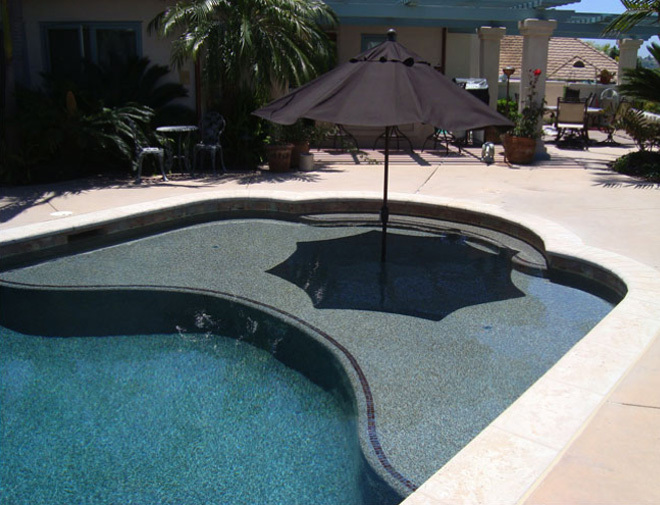 We shallowed the deep end by adding this massive Baja shelf with three umbrella sleeves. 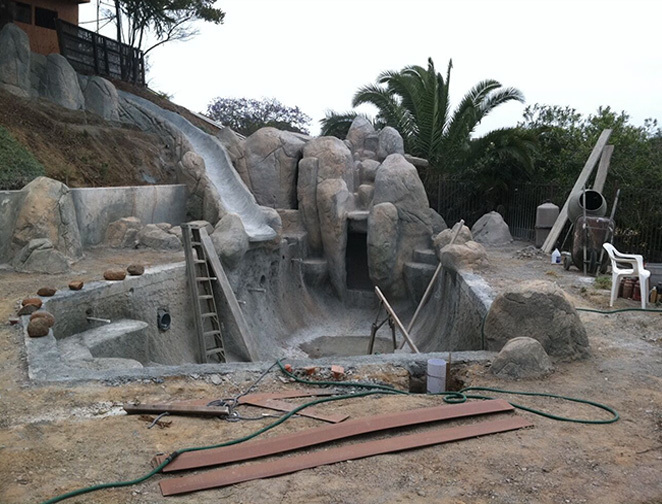 Tigers Eye Lagoon Gemstone interior and new waterline tile. 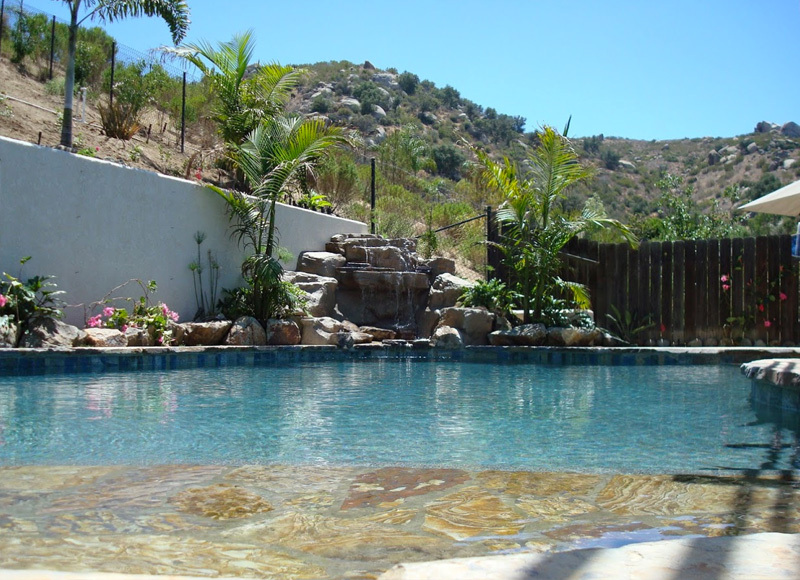 The timeless beauty of Natural Quartz Stone replaces the 1980s appeal of red brick and blue tile. 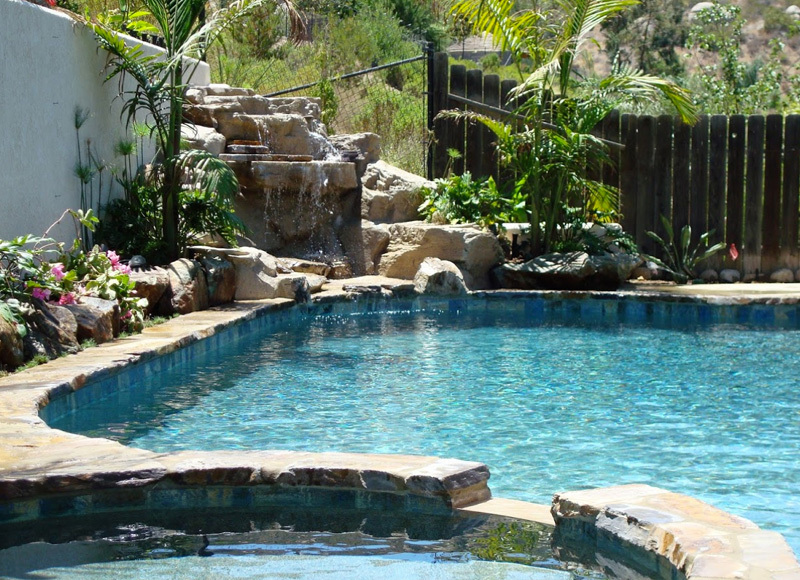 Tigers Eye Lagoon Gemstone provides the rich color of water.